If you are a Canon DSLR user, it pays to visit the Canon Digital Learning Center. 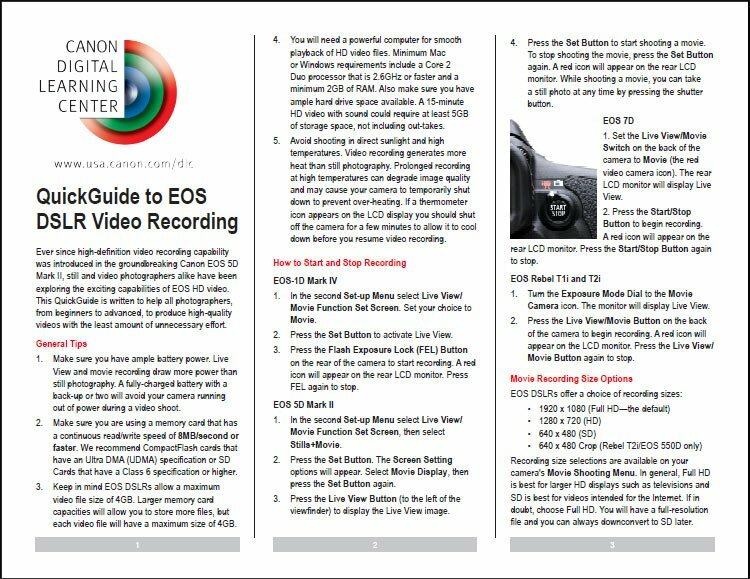 Canon offers a wealth of information in the form of tutorials, guides and videos covering most of their product line. 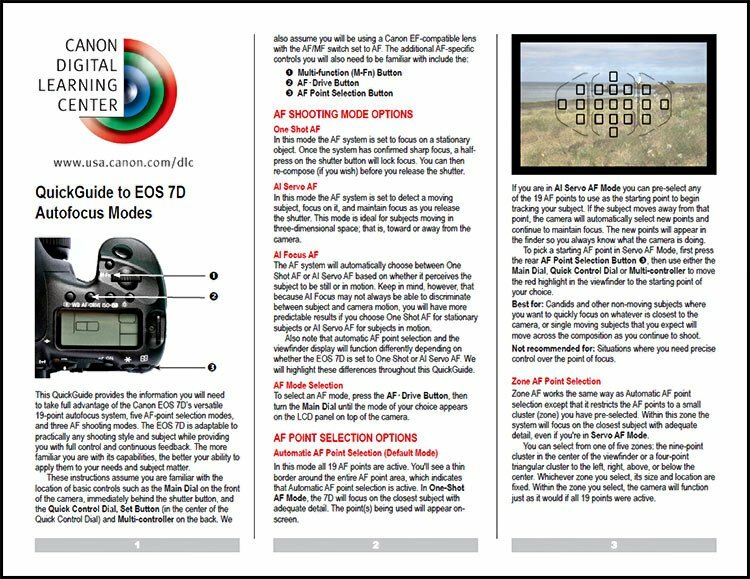 The above Quick Guides are recent additions covering DSLR Video Recording, 7D Auto Focus Modes, 580EX II Settings, DPP Workflow, and TC-80N3 Settings. These PDFs can be downloaded or printed and make effective field guides. If you are a Canon 7D owner, be sure to take a look at the Canon Video Series dedicated to the 7D.